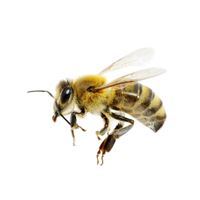 People who are allergic to bee stings are recommended to undergo venom desensitization or venom immunotherapy. Before this treatment is carried out, expert allergists will first test which insect(s) you are allergic to. This will enable them to determine which type of allergy shot to give you. Once they determine the type of insect you are allergic to, you will begin to receive treatment shots once or twice a week. The dosage will slowly increase until you reach a maintenance dose. However, if you have experienced a severe allergic reaction to an insect sting, it is best to talk to your allergist so that they can provide you with the best treatment. Allergy shots for bee and insect stings are safe and work for almost everyone if administered properly. However, it’s important that an allergist administers this treatment because allergy shots may cause anaphylaxis, an acute allergic reaction to an antigen (e.g., a bee sting) to which the body has become hypersensitive. This may cause a life-threatening reaction. To avoid this, proper execution of this treatment from a professional allergist is absolutely necessary.